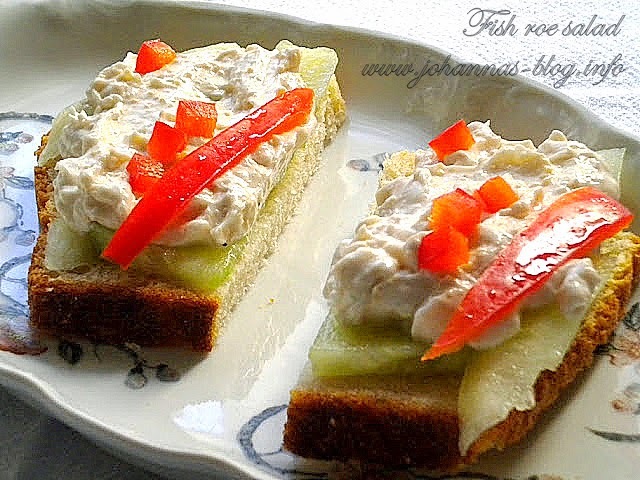 It's true that's a trifle, but who can refuse a sandwich with cucumber and roe salad? 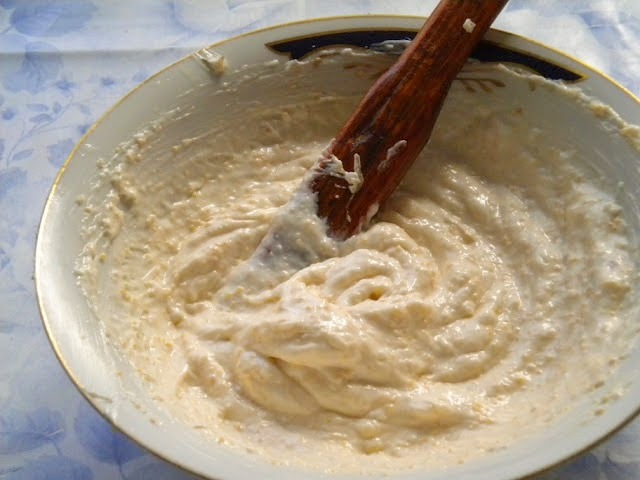 :) In fact, I can't tell you why we call it salad, because it is just a kind of paste, more like mayonnaise then a true salad. 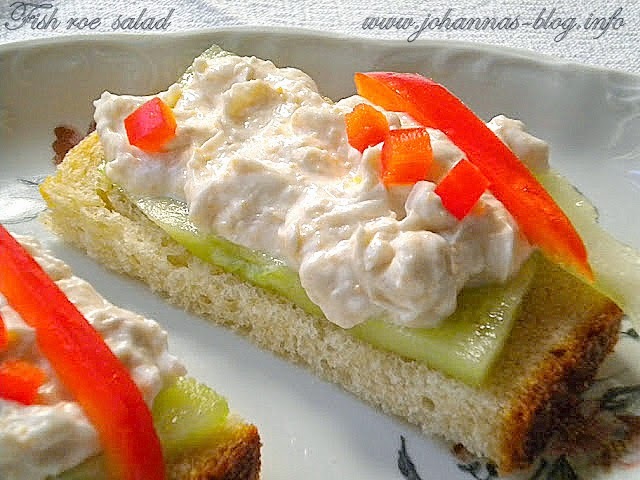 Anyway, it is a very appreciated appetizer in the whole Balkan area, mainly in Greece. We make it with carp roe generally, but not fresh roe, because the taste isn't the same. 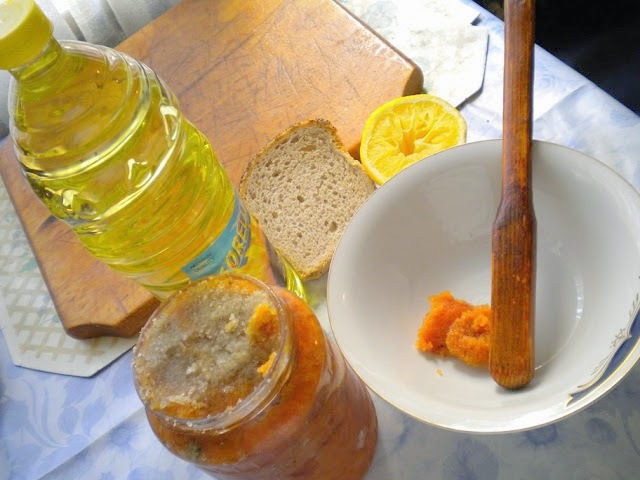 We use to preserve the fish roe with salt, in a jar and use it whenever we need. - the juice of a lemon (or lime). 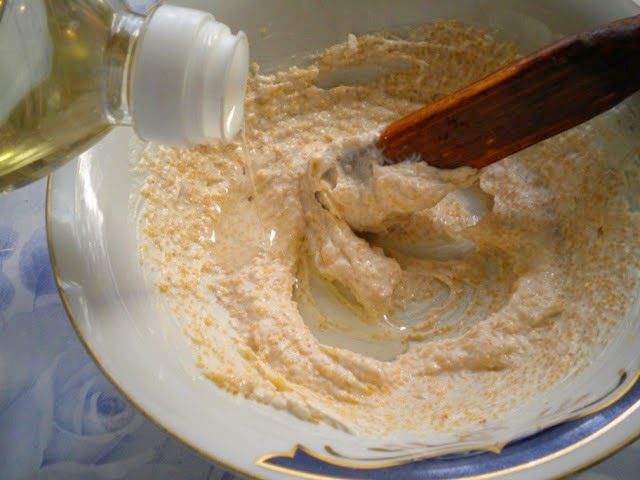 Squeeze the slice of bread and mix it until smooth with fish roe. Then pour little by a little the oil stirring all the time in the same direction with a wooden spatula until it becomes consistent, then pour a little lemon juice, homogenize again, then pour a little oil, homogenize, and repeat pouring oil and lemon juice, continuously stirring the salad in the same direction until it becomes like a smooth paste of a rather pink-white colour. If you like, you can very finely chop an onion and then add it to the fish roe salad. It's more tasty like this!